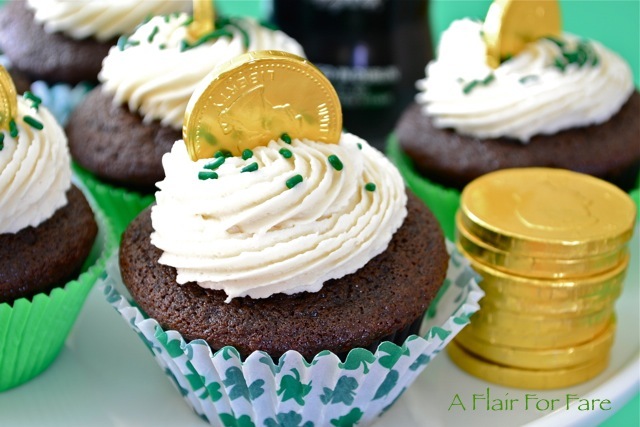 If you are a chocolate lover, your heart will skip a beat when you bite into one of these doubly delicious, decadent cupcakes. So tender, so moist and so, so chocolatey. If this cupcake had ears you would be whispering to it “you’re the best I’ve ever had”, and you wouldn’t be lying. Just one bite and you’ll fall in love. Heat oven to 350 degrees. 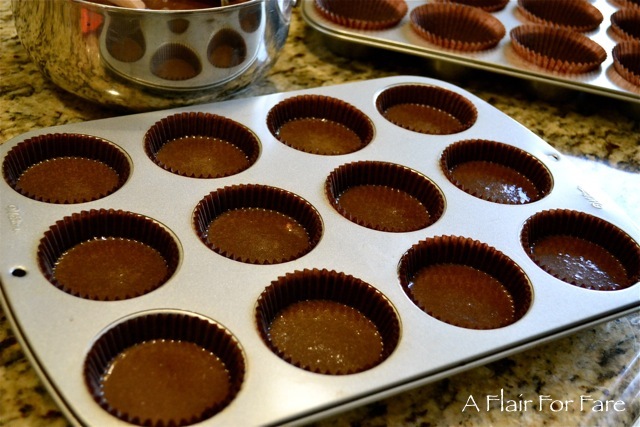 Add cupcake liners to two 12 cup muffin pans. In a large mixing bowl, using a heavy duty mixer, mix sugar, flour, cocoa, baking soda, baking powder and salt and until well combined. Add in the eggs, buttermilk, coconut oil and vanilla and beat until very smooth. Fill cupcake liners 3/4 full. (I use a 1/4 cup scoop). 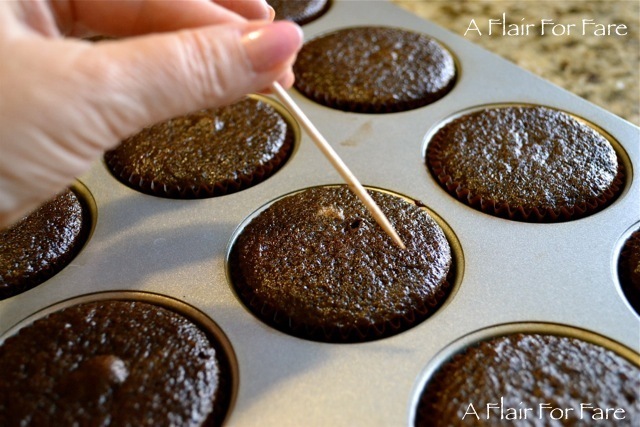 Bake 16 minutes or until a wooden toothpick inserted in the center of cupcake comes out clean. 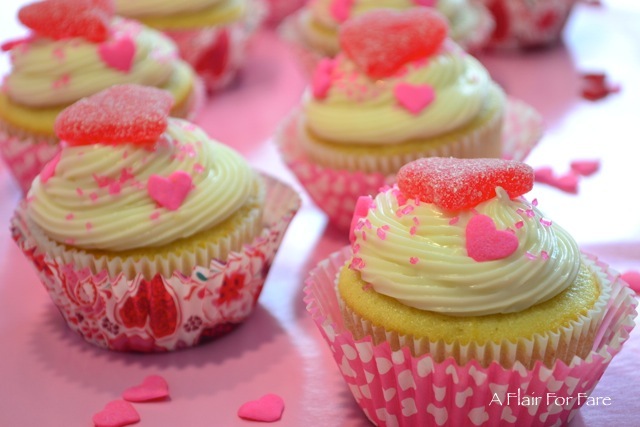 Remove cupcakes from the oven and cool in the pan on wire rack for 10 minutes. Transfer cupcakes to wire rack to complete cooling. Using a heavy duty mixer, combine powdered sugar and cocoa. On low, add in milk, then slowly add in melted butter and whip until fluffy. Frost your cupcakes and decorate as you wish. Note: depending upon how you choose to frost your cupcakes, you may have extra frosting. If you are spreading the frosting rather than piping it; cut the recipe in half, but decreasing powdered sugar to 3 cups. I piped the frosting using Wilton tip 1M. 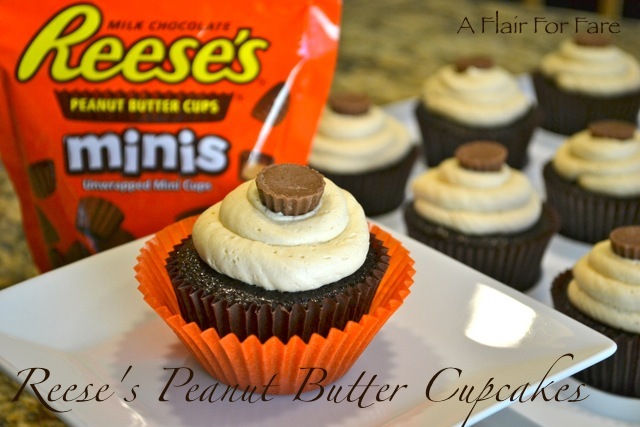 A peanut butter lover’s delight! Deep dark chocolate cake with a whipped peanut butter filling and topped with peanut butter buttercream. 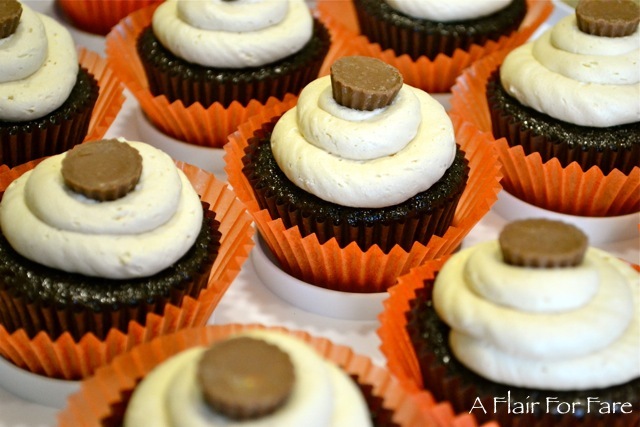 If you are a fan of the peanut butter cup, you will love this cupcake. 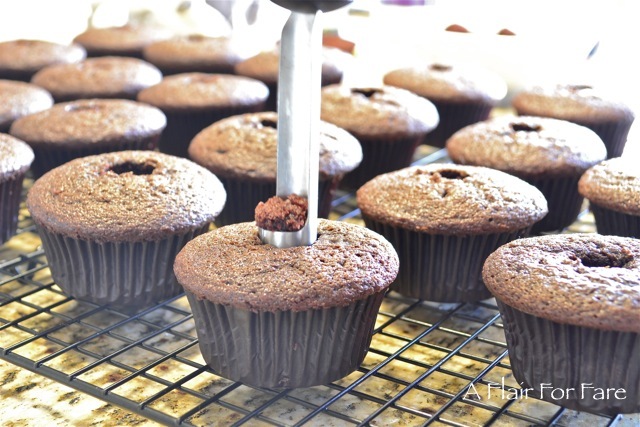 Using a 1/4 cup measuring scoop, fill cupcake tin lined with brown wrappers, 3/4 full. Combine chips and cream in a heatproof bowl , set over a pot of simmering ( not boiling) water. Stir until melted. Remove bowl and let cool, refrigerate for 10 minutes or so until set. Whip with a mixer until fluffy. Add more cream if needed until desired consistency. Transfer to a pastry bag fitted with a filling tip. Insert into middle of cupcake and fill. 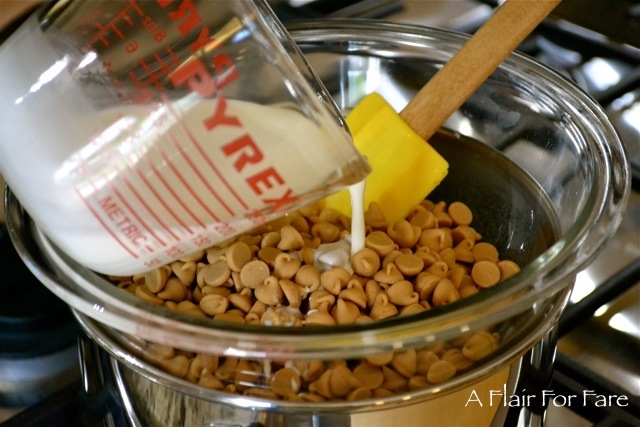 Beat butter and peanut butter together until combined. Add sugar, one cup at a time until smooth. Add milk as needed. Transfer to a pastry bag fitted with large round tip. Pipe peaks onto each cupcake. Top with mini peanut butter cup. This is an easy semi-homemade recipe that starts with a spice cake mix. 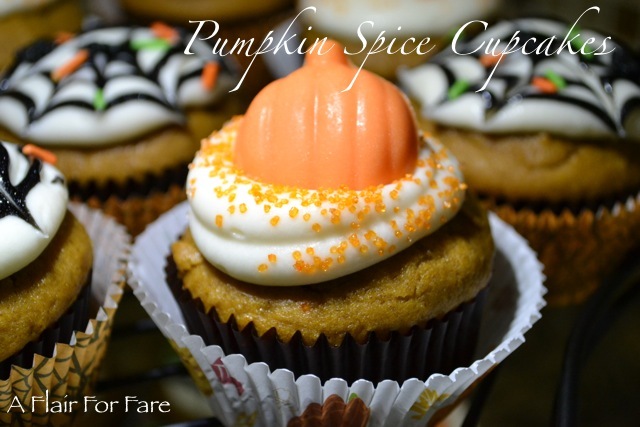 Full of pumpkin flavor that screams fall, these cupcakes will be ideal for your Halloween party or any fall get-together. The sweet cream cheese frosting is the perfect accompaniment to these spicy little cakes. Prepare two 12 cup muffin tins with either paper liners or non stick cooking spray. Beat eggs in a large mixing bowl using an electric mixer. Add remaining ingredients and mix on medium speed until smooth. Distribute batter evenly among muffin cups, 1/2 to 3/4 cups full. Bake for 18-22 minutes. Test for doneness using a toothpick. Leave cupcakes in baking pan for 10 minutes before transferring to a wire rack. Cool completely. A stand mixer works best, but you can use a hand mixer. Beat softened cream cheese on medium high speed until smooth and creamy. Add butter and beat for 3 minutes more. Slowly add in confectioners sugar and beat on low until fully mixed in. Add vanilla and beat for another 3-4 minutes. Frosting should have a light and fluffy consistency. Frost cupcakes generously when cooled completely. Decorate as you desire. You’ll find lots of variations on this recipe out there; my niece Priscilla shared this one with me a few years ago. 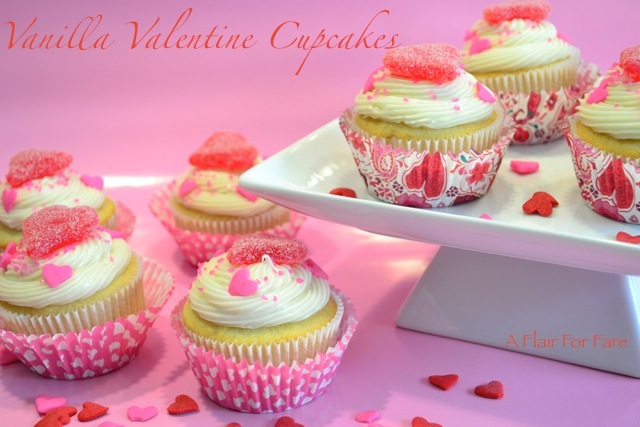 The flavors are amazing and everyone that I have shared these cupcakes with raves about them. 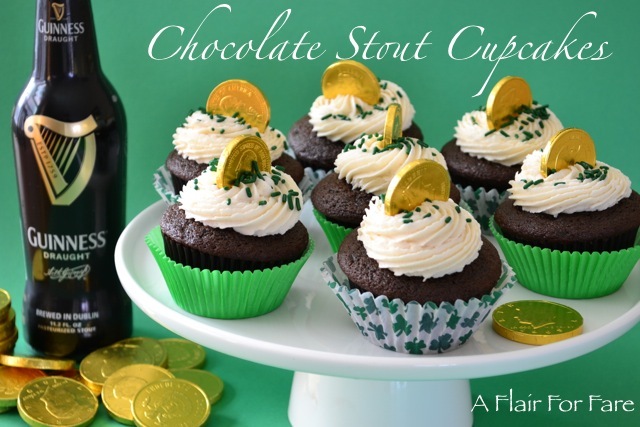 The stout, which has undertones of chocolate and coffee, gives the cake great depth of flavor. 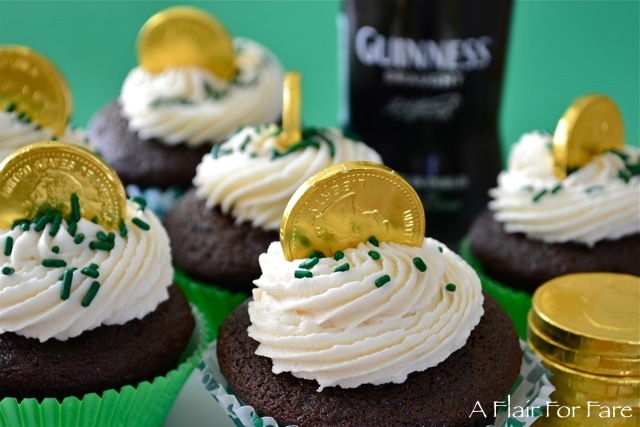 The Irish whiskey and Baileys also gives the cupcake a distinctive flavor without being over-powering. 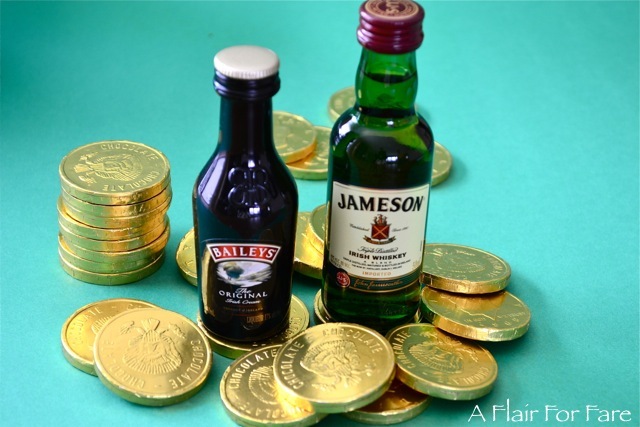 And if you’re not a whiskey, Baileys drinking kinda guy or gal, you can purchase the mini airline size bottles from the liquor store. Some stores may also have single bottles of Guinness on hand. Preheat oven to 350°F. Line two 12 cup cupcake pans with 24 cupcake liners. In a small saucepan over medium heat, combine the Guinness with 2 sticks butter. Bring to a simmer, then whisk in the cocoa powder until smooth. Set aside to cool. Add flour, sugar, baking soda and salt to a large bowl. Mix well and set aside. In a mixer bowl, beat the eggs and the sour cream. Slowly add the cooled chocolate mixture and beat to combine. Slowly add the flour mixture a little at a time and beat just until blended. Be sure the flour mixture is blended in well. Use a spatula and stir if needed. Fill the cupcake liners 2/3 full. 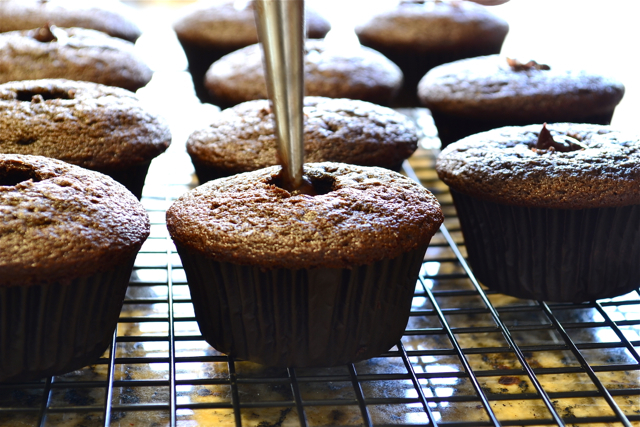 Bake for about 20 minutes, or until a toothpick inserted into the middle of a cupcake comes out clean. Cool completely. For the filling, break up the chocolate and place in a heatproof bowl. Heat the cream just until simmering and pour it over the chocolate. Let it sit a couple of minutes until chocolate starts to soften and then stir until smooth. Add the butter and whiskey and stir until smooth again. Let the ganache cool to a thick consistency, but not too firm to pipe it. Cut out the centers of the cupcakes, using an apple corer. Go down about an inch and a quarter into the cupcake. The cake plugs will push out of the apple corer easily just using your finger. 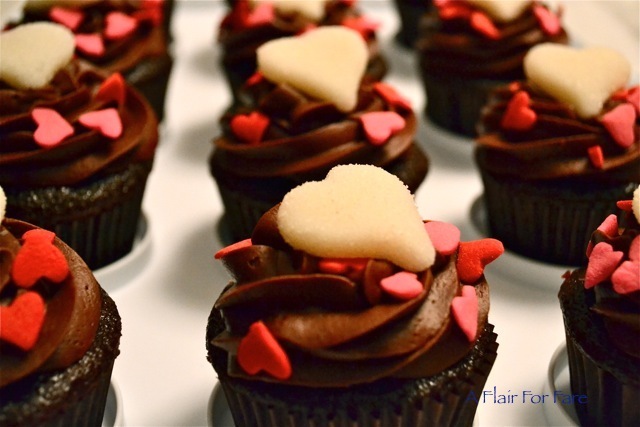 Fill a piping bag with the ganache and fill each cupcake. In a large mixer bowl, whip the butter for several minutes until fluffy. Slowly add the powdered sugar and beat. Add the Baileys and heavy cream. Frosting will be on the firmer side. 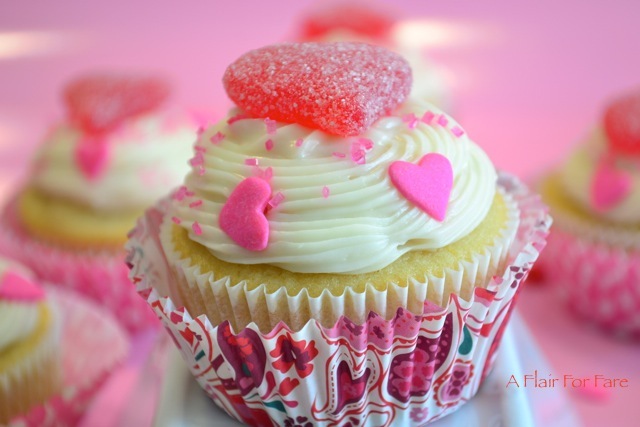 Spread or pipe onto cupcakes and decorate as desired. I find it hard to comprehend, but there are people out there that don’t like chocolate. I absolutely love the stuff, but sometimes I just want something different. Something vanilla. You might think that “vanilla” means plain and boring. Au contraire! Not this cupcake. Incredibly moist and buttery, this simple recipe includes a touch of lemon zest that adds a bit of freshness to the cake. I topped it with a sweet cream cheese frosting with, you guessed it; more vanilla. It’s a cupcake marriage made in heaven. 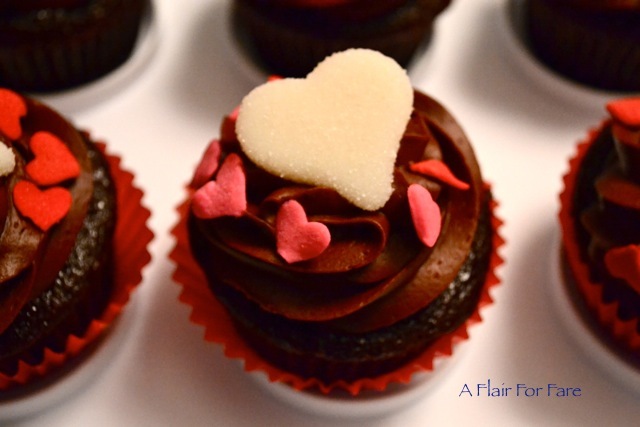 If you are one “those” people, who don’t care for chocolate, this cupcake is for you. And if your a choco-holic, take a walk on the wild side, and try a little vanilla. You’ll be glad you did. Preheat oven to 350 degrees. Line a 12 cup muffin pan with paper liners. 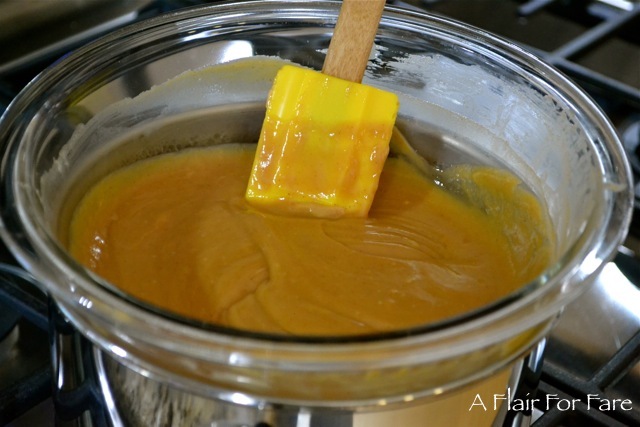 In another mixing bowl, beat sugar and butter until well combined. Add egg, vanilla and lemon zest and mix in. Add in flour mixture and milk. Mix just until combined. Using a ice cream scoop, fill cupcake liners, about 2/3 cup full and bake for 20 minutes. Cool in pan for about 5 minutes then move to a wire rack. Do not frost until completely cooled. Using a mixer, beat cream cheese until fluffy. Gradually add in sugar until combined. Add vanilla and beat to combine. Frost cupcakes as desired. Store in an airtight container in the refrigerator, but serve at room temperature. 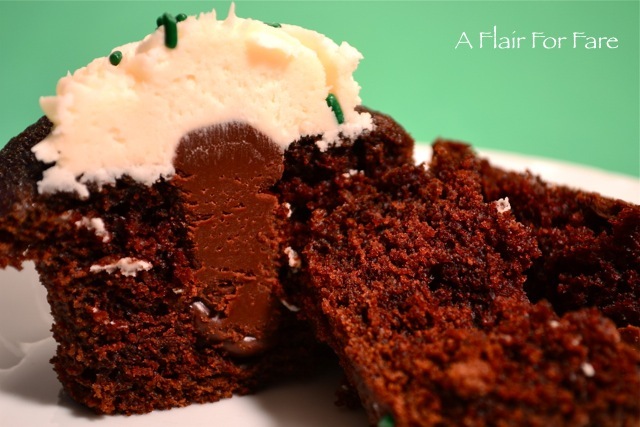 This recipe has been my go to chocolate cake and cupcake recipe for years. It’s very chocolatey and extremely moist and everyone loves it. Most hesitate to ask me for the recipe, thinking it’s a huge family secret that I won’t want to give up. Little did they know it was practically under their noses, in their pantry, right there on the Hershey Cocoa box. Pair it with any frosting; vanilla, chocolate or cream cheese and it will never disappoint. It is truly “Perfectly Chocolate” cake. 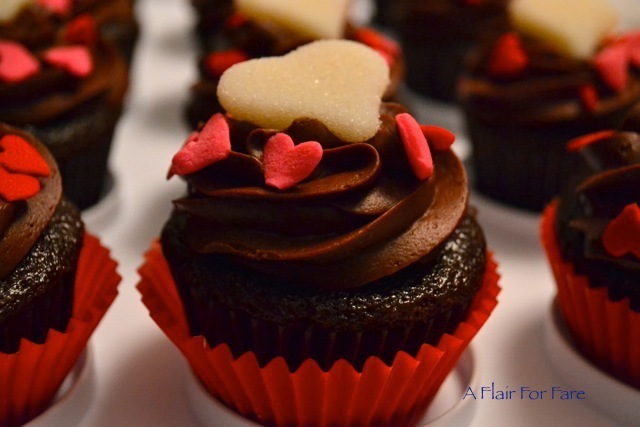 Here’s my perfectly chocolate cupcake, all dressed up for Valentine’s Day. 1. Heat oven to 350°F. Line 2 cupcake pans with cupcake liners. 3. Bake for 15-20 minutes or until wooden pick inserted in center comes out clean. Cool 10 minutes; remove from pans to wire racks. Cool completely. 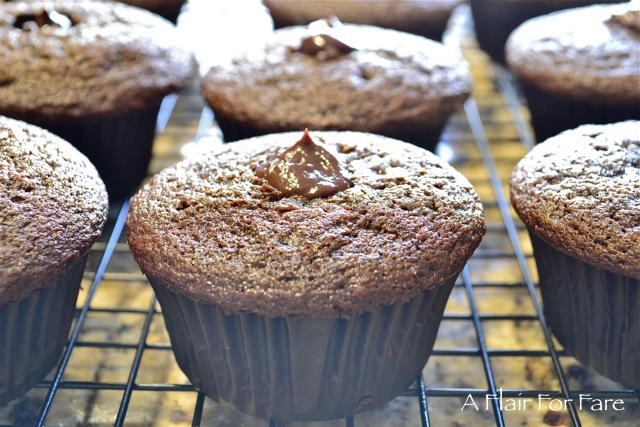 Frost with “Perfectly Chocolate” Chocolate Frosting, decorate as you desire. Add small amount additional milk, if needed. Stir in vanilla. About 2 cups frosting. Note: to pipe the frosting add additional powdered sugar until you reach a thicker consistency needed for piping. You will need to double the recipe if you want to pipe high swirls.